The neuroscience undergraduate major is a joint venture by the College of Arts and Sciences and the College of Medicine. Faculty from both colleges have created an outstanding curriculum that will allow students to investigate the organization, development and function of the nervous systems and their relationship to behavior, cognition and disorders. This is a great program for both our new students and for the student mentors, who develop skills in leadership, organization and compassion. The Neuroscience Ambassadors Program offers incoming first-year majors the opportunity to learn from third and fourth-year neuroscience students. The Ambassadors run special events and programs to increase student engagement — picnics on the Oval, information sessions, special tours of laboratories and Monthly Mojo, a coffee and conversation session with neuroscience professors. The Neuroscience major and minor offer undergraduates the chance to work on cutting edge research projects with Ohio State faculty. Student researchers can participate in each phase of standard research activity: developing research plans with a professor, conducting research, analyzing data, and even presenting research results in oral and written form. 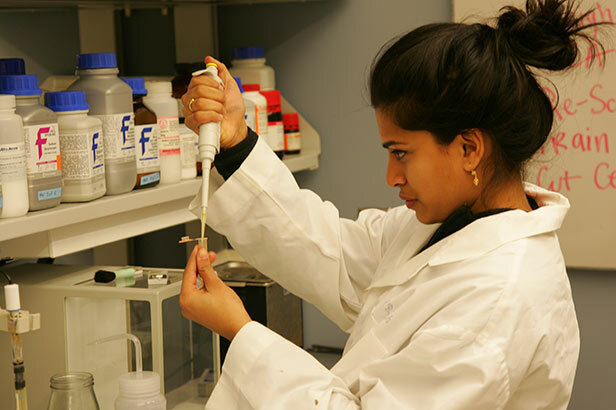 Research projects can take place during the academic year, as well as over the summer, and research can be done in any neuroscience-related lab that is willing and able to take on an undergraduate. Research projects can be as short as one term, or can continue for a year or more. Explore the latest discoveries in the field of neuroscience in a new and exciting way. Use research as a way to prepare for graduate or medical school, or learn skills for the workforce. Get to know faculty, researchers, graduate students, and other undergraduates who share similar academic and career interests.